Where you should locate your new water well can be frustrating without the help of a qualified well water professional. Both state and local governments regulate where your well can be placed and the location of your home and other structures is a critical factor. Proper water well placement requires an experienced professional who understands the necessary factors and can identify locations that are within state and local regulations and codes. The first step before drilling is to understand the geology of your land. As the homeowner, it's expected that you will have a geological study on your new property. This can tell you important information about previous well locations and the quality of water on your property. If you live in New Hampshire, and your home was built after 1984, this information can be found in the public record. Skillings & Sons has a history of drilling wells in New Hampshire. Contact us for specific information based on your address. If a well has been drilled in your neighborhood, they may be able to provide you additional information. Since 1984 New Hampshire law requires that all drilling projects be documented for future reference. This information includes how and where the well was placed, the depth of the well and type of pump installed and more. Homebuyers should ask to see these records as part of the inspection process before purchasing the home. These reports wil also tell you if previous wells have run dry or experienced issues on your land. Most state and local governments have strict regulations about where water wells can be located both in relation to the home and other structures. For example, homes with up to five bedrooms must set the well back a minimum of 75 feet from the property line, 25 feet from any roadway, and 50 feet from any state-owned right of way. Regulations also govern the placement of animal pens, drainage culverts, septic systems and more in relation to your wellhead. These regulations are put in place to protect your water quality as many factors like runoff from animal pens can contaminate your well. Other regulations are in place to protect wetlands, streams, and ponds from damage. Today, many utility companies have buried power lines, gas lines, sewer lines and more both to protect the lines and to keep the landscape views open and beautiful. Before you do any underground work, like drilling your well, you will need to locate all underground lines and have them marked. Most utility companies will do this for free as part of the Dig Safe program. You must stay 15-25 feet away from all power or gas lines for safety. 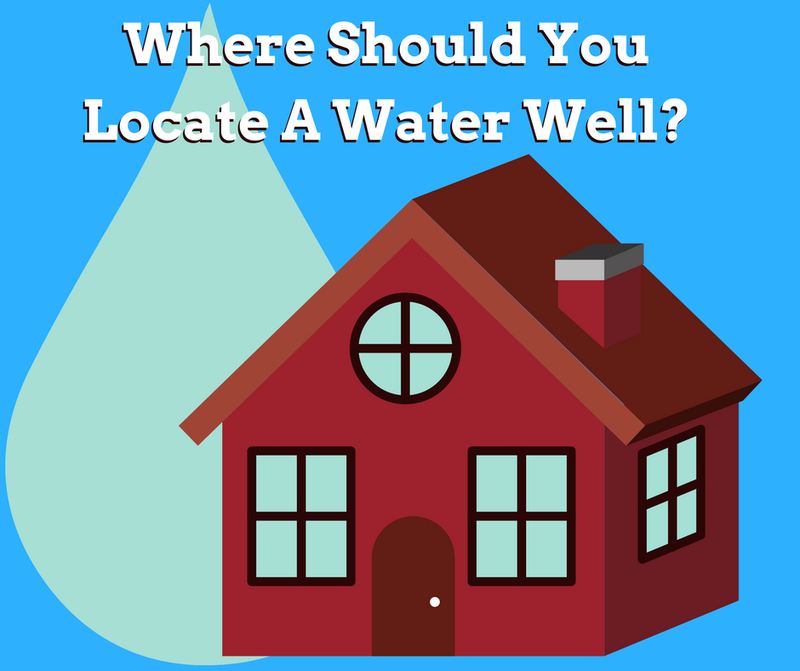 Additionally, your water well professional will research placement of previous wells and the condition of the aquifer in order to place the well in the appropriate spot. In general, especially here in New England, drilling into bedrock is the best way to ensure quality and consistency of your water supply. It's also important that your new well does not adversely affect other nearby wells. Your contractor will need to research where and how your neighbor's wells are placed and drilled to ensure that your well will be independent. Every property offers unique challenges. That's why your well water professional will spend the time to do the necessary research into the history of your property, as well as the local geological conditions which can impact your results. They must also follow all regulatory guidelines set forth by both the state and local authorities to protect your neighbors and the environment from harm. By taking a good look at all of these factors – geology, regulation, and utilities that may be present – you can save both time and money in the future trying to resolve the issues of improper well placement. To learn more about water well placement on your property or to schedule an appointment for a site review, call us at (800) 441-6281 or contact us by clicking here.